The following are questions commonly asked. You could use the explanation below as your additional information. Please submit your questions or suggestions through Contact Form below. 1. What is Wisma Bahasa? 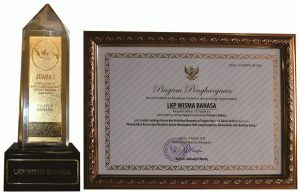 Wisma Bahasa – Yogyakarta Indonesian Language Centre (YILC) was established in 1982 by Mr. Daniel Pearlmen who was a Peace Corps volunteer from State University of California at Berkeley, USA. 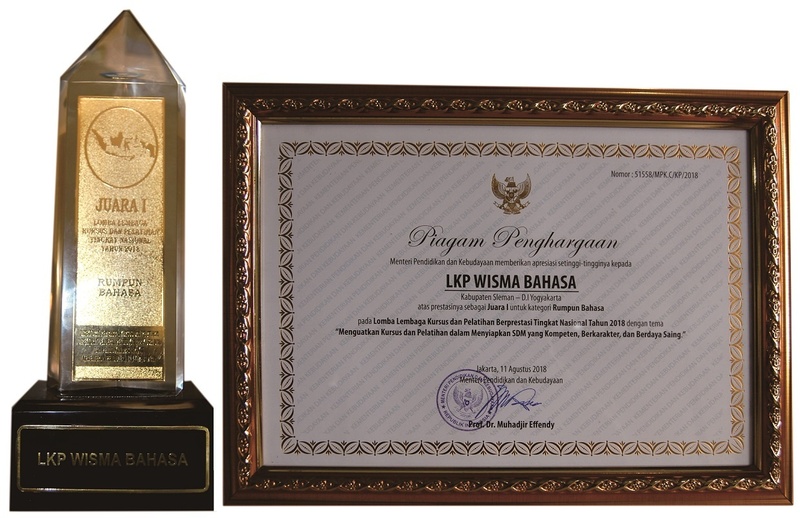 At the present time Wisma Bahasa is owned by Suara Bhakti Foundation. We have been dealing with our clients for 29 years. A relaxed atmosphere is deliberately created to eliminate the concept of “teacher-student relationships”. We foster the “relationship of friends” concept within our school’s environment. 2. What Programs are available? 3. What kind of visa that should be prepared for taking the course at Wisma Bahasa? You could use any visas for studying at Wisma Bahasa (commonly Social/Cultural Visa). It needs about a week to arrange a Social/Cultural Visa. It is valid only for 30 days. For staying longer than 30 days, you have to extend it at the Bureau of Immigration. The maximum extension period of the visa is four times. Therefore, you have maximum 150 days for staying in Indonesia by using a Social/ Cultural Visa. You could contact Wisma Bahasa for your visa arrangement. 4. What are the requirements for getting a Social Culture Visa through Wisma Bahasa? 5. When does the Indonesian language course start? There are no set dates for beginning of new terms. Learning hours are flexible and classes may start on any day requested by learners. 6. How long and how many sessions per day are available? 7. I have never learn Indonesian language before. Does it take a long time to master Indonesian language for basic communication? There is a Short Course Program at Wisma Bahasa. The length of the course is 30 hours or based on the learner’s need and time. This short course will enable learners to speak survival or basic Indonesian. 8. Does Wisma Bahasa provide classmates? Wisma Bahasa does not provide classmates, but we will inform you if there are learners who have the same level of proficiency in Indonesian language with you and look for classmates. 9. Does Wisma Bahasa cover the transportation cost on arrival and departure and from homestay/hotel to Wisma Bahasa on the first day? Wisma Bahasa does not cover the transportation cost, but we have complimentary pick up and drop off service for students from from and to the airport/train/bus station on their arrival or last day in Yogyakarta, and also provides pick up service from hotel or homestay on the first day for new students (first time study at Wisma Bahasa). 10. Could Wisma Bahasa help students make any appointment, either with Government Agencies or with Non-Government Organizations? Yes, we could help you make an appointment with Government Agencies, Non-Government Organizations, Political Parties, schools, hospitals, etc. Please advise your purpose in visiting the organizations. 11. Does Wisma Bahasa give discount for university student apply to all programs? Yes, Wisma Bahasa gives 20% discount for those (students) who have valid students card (Junior or Senior High School, or University Cards) for studying Indonesian and Javanese language course in Yogyakarta. 12. I want to learn Indonesian language in Wisma Bahasa but cannot come to Yogyakarta. Any solution? We conduct classes in Jakarta, Bali and E-Learning (online class). Just email us for further information. 13. Does Wisma Bahasa help me to find accommodation? What kind of accommodation do you offer? Yes, we provide you with a list of hotels and homestays for consideration and will help you to make the reservation. 14. Can I bring my own learning materials as I need to focus on certain terminologies for my job and needs? Yes, you can bring your own materials and we can use those materials. In order that the teachers can prepare your class well, please give us a copy of the materials before your class. 15. I have been able to speak some Indonesian, but I do not know the level in Indonesian. What should I do to know my level? We will give you a free assessment / placement test before your class. The test duration is approximately one hour. 16. Who is my teacher? A group of teachers are responsible for one class. One of them is the class coordinator who arranges the lesson plan for the class. All of them write a report after teaching to guarantee that the group can always monitor the class progress. We are not teachers to learners, but friends. We do not just teach the language, but create situations in which learners enjoy communicating in the target language. Hospitality is our principle. This is why we do not name our institution a college or school, but a home of language, Wisma Bahasa. 17. How to pay the course fee? Payment method is flexible. You can pay in advance or after finishing the course. 18. Can I get internet connection in Wisma Bahasa?